SINGAPORE: Less than two hours before she was to board a flight out of Singapore to Kuala Lumpur on Malaysian budget airline Firefly, Crystal Wong found out on Thursday (Nov 22) that the airline will be suspending its services from the start of next month. The Malaysian, who works in a law firm across the border and studies in Singapore, shuttles between the two cities every weekend. She already booked two Firefly flights on Dec 7 and 8, and has not heard from the airline about other options available. She scrambled to check with Firefly’s crew at the airport, and was merely told that she will either be compensated or have another flight arranged for her. “They should at least have the courtesy to inform me, right?” she told Today. Wong is one of many passengers who regularly fly with the low-cost carrier that plies the Kuala Lumpur-Singapore route via Sultan Abdul Aziz Shah Airport, more commonly known as Subang airport. There are no other airlines operating at Subang airport that flies to Singapore apart from Firefly. Wong described the suspension as “a disaster”, because of the greater distance she would have to travel taking other airlines in the meantime. Subang’s airport is nearer her home compared with Kuala Lumpur International Airport (KLIA). Subang airport is located in the Petaling District of Selangor, and is near major cities such as Petaling Jaya and Kota Damansara. KLIA is located at the Sepang district, south of Kuala Lumpur. Other passengers said that another reason they take Firefly is because they get through customs at Subang airport fairly quickly. On Thursday morning, Firefly announced that it is suspending all flights to Singapore from Dec 1 this year, because there were “remaining matters” in relation to Singapore’s plans to move turboprop aircraft operations from Changi Airport to Seletar Airport, and that these have not been cleared by the authorities. Changi Airport Group (CAG), the operator of both airports, has been planning to move turboprop operations to Seletar, which just opened a new S$80 million passenger terminal on Monday, in order to free up capacity at Changi. Scheduled turboprop flights were supposed to start operating from the new Seletar terminal from Dec 1. FireFly chief executive officer Ignatius Ong has said that the suspension will affect up to 13,000 passengers in total. Malaysian Steven Ong, 60, is also among those whose travel plans will be disrupted. He had bought tickets from Firefly to head to Singapore on Dec 22, to prepare to receive his newborn grandson, and again on Feb 2 for the Chinese New Year holidays. Ong flies on average once a month to visit his family who are Singaporeans. He kept calling the airline’s office after seeing the announcement on its Facebook page, but was unable to reach anyone. Later on Thursday evening, he finally managed to reach Firefly’s office “after five tries” and the airline arranged another flight for him via Malaysian Airlines. Firefly informed passengers that it will try to accommodate them on available flights operated by Malaysian Airlines – its parent company – with no cost for those on the Subang-Singapore route and the Singapore-Kuantan route. Those who bought tickets for the Singapore-Ipoh route can change to another destination operated by Firefly without any added cost. Otherwise, they will receive a full refund within 30 days. Regular passengers who have not bought tickets after Dec 1 also griped about the inconvenience caused, with them having to travel to KLIA to take other airlines to fly to Singapore. Jerry Josun, 42, who travels to Kuala Lumpur at least once a week for business, called the suspension “ridiculous”. “It’s 1.5 hours to KLIA, and you wait one hour before boarding. So that’s 2.5 to three hours. By then, I might cross Malacca by car and be able to reach Singapore earlier,” he added. However, there were travellers who saw the complaints about longer journeys as a “first-world problem”. Risk consultant Michelle Loh, who travels to Singapore once every two months, said that the change in travel plans will just be “a little bit more logistically inconvenient, that’s all”. Calling the suspension a “setback”, Brendan Sobie, the Southeast Asia chief representative for CAPA – Centre for Aviation – said that Firefly’s move is “rather unusual”. While it is normal to have delays when an airline is shifting its operations to another airport due to the logistical challenges, airlines would usually continue to maintain flight services during the transition. While Firefly’s move to Seletar may be a commercial decision, Greg Waldron, Asia managing editor of aviation news site FlightGlobal, said that airlines are “very heavily regulated”. “Which airport they fly from, when they fly, a lot of details are managed by the government. I think the governments, both Malaysia and Singapore, are involved in this process,” he added. In response to queries from Today, CAG said that it has been working with Firefly since 2014 to prepare for its move to Seletar Airport. 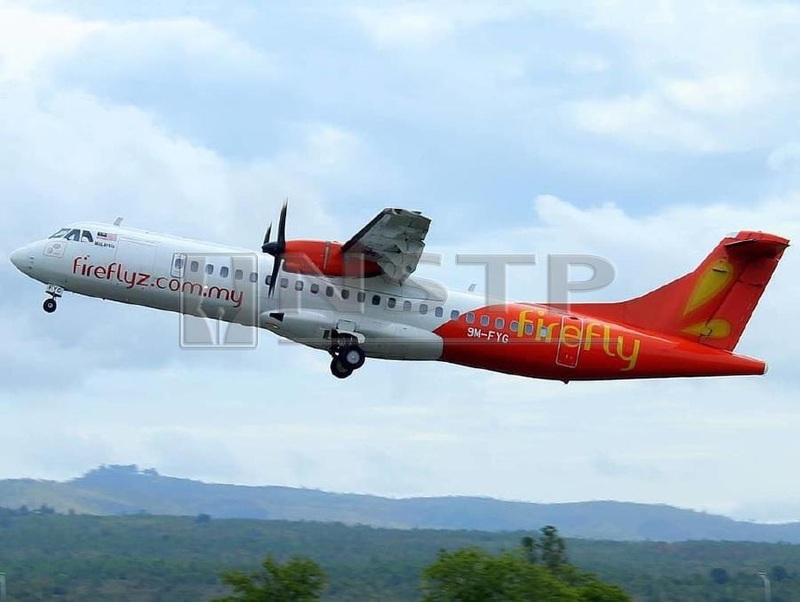 “Singapore has made all preparations and approved all applications by Firefly to conduct scheduled turboprop operations at Seletar Airport from Dec 1, 2018,” its spokesperson said. Sobie said that a prospective airline would be another Malaysian airline Malindo Air, given that it had talked about flying from Seletar once the new terminal opens, but they were told that there is no space for Malindo Air to operate in the new terminal and they will have to wait. “Malindo has the airplanes… And they have initiative and ambition to grow very fast and may be (able to) launch as early as next month,” he added.